Want to find a job? Find your tribe. I have an acquaintance who is currently job hunting. He recently confided to me that one day he spent 4 solid hours sifting through job postings online, applying to more than a dozen positions. When I checked with him a couple of weeks later, he had received no response other than automated emails, thanking him for his interest. In the meantime, he had spent many more hours repeating the pattern, scouring the internet and applying to dozens of positions online. Have you had this experience? It seems like your application goes into The Black Hole. The only email is "job_bot@ginormous_company.com" and you have no clue who actually reviews the résumés. Finding a job this way is like looking for the needle in a haystack. Is your application in here somewhere? 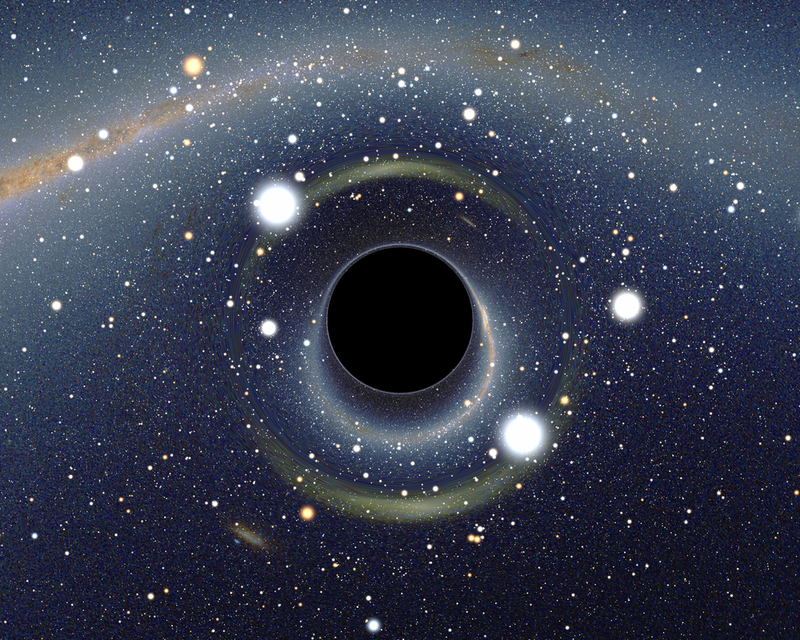 www.lynncareercoach.com - Image info: Simulated view of a black hole in front of Large Magellanic Cloud. By User:Alain r (Own work) [CC BY-SA 2.5 (http://creativecommons.org/licenses/by-sa/2.5)], via Wikimedia Commons. We've all heard the advice that networking is the answer. We have been fed stories about "amazing luck," chance encounters which landed someone a terrific job. You know, that person who bumped into an old camp counselor at a poetry slam... who just happened to know the dog walker of the son of the CEO of the latest virtual reality startup... who (what luck!) was hiring. It happens. But let's be honest, it's unlikely that you'll stumble into your dream job at the aforementioned poetry slam. You need a plan, a strategy to create your own luck. Instead of spending hours trolling job sites, spend those hours finding your tribe. What does that mean exactly, "finding your tribe?" It means finding people who work where you'd like to work. People who care about what you care about. People who "get it." They relate to your passion and share your enthusiasm for a subject. Even if your dream job is an oddball role within a hyper-specific industry, like developing apps for identifying freshwater mussels of the genus lampsilis. (Yes, they are real, look it up!) No matter what your jam is, you have a tribe. They're out there. You just have to find them. First, send LinkedIn requests and Twitter follows to people who work in your field of interest, especially in the cities you're targeting. When a connection request is accepted, find out where they connect with like-minded people. Follow the companies they follow, look for the hashtags they use, join the groups they're in and comment on the articles they read. Notice who else comments on those same articles, and repeat the same process, connecting with them. Next, look for events where you might meet these folks! Eventbrite and Facebook event searches are a good way to find lectures, open houses, and expos. Get out the door at least once a month if you're beginning to consider a career change, or once a week if you're currently unemployed and searching in earnest. Be methodical and relentless! Track events in a spreadsheet if that helps you stay motivated. Follow up with everyone you meet in person, and keep the relationship going online afterwards. Finally, now that you've found your tribe, lead with generosity! (Check out this blog post from last month to learn what I mean by that.) Find out what you can contribute to your new tribe. Share an article that would be of interest, suggest a topic for their next gathering, or offer your perspective as a newbie. Ask if you might volunteer at the registration table of a meeting. Offer to be the session's point person for a speaker you'd like to get to know better. I would like to add one critical aside: I know contacting someone you've never met isn't easy, especially for introverts and those new to an industry. It can be intimidating and it's difficult to think of what to say. Start small and build from there. Write a comment online thanking the person for their insight. Just let them know you're there, that you appreciate them, and that you're genuinely interested in what they do. For more tips on finding your tribe, sign up for my weekly "Career Authentically" newsletter as well. Your future coworkers are out there, along with your next boss. Pretty soon they will be searching for someone to take them to the next level, that rare person who gets them, the one who is truly stoked about an app distinguishing a purple wartyback mussel from a monkeyface mussel. They will be looking for YOU. Your task is not to locate a certain job posting, nor to find the needle in a haystack. Your task is simple. Find your tribe. No, this is not actually a fish. 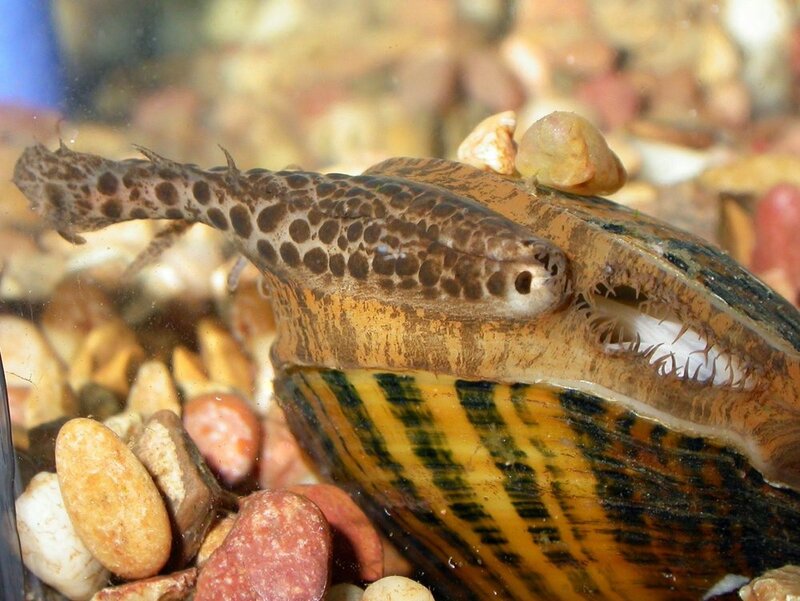 It's a Brokenray mussel (Lampsilis reeviana) in the St. Francis River, MO. Photo (c) Chris Barnhart. P.S. I was grateful for the opportunity to learn all about freshwater mussels when I worked for The Nature Conservancy. The lampsilis mussels are fascinating examples of evolution at its weirdest, because they have evolved amazingly accurate imitation-minnow lures with wriggling "tails" to attract fish. Several species of these cool critters are globally endangered and there are lots of ways you can protect their habitat, so check them out. If freshwater mussel conservation is your jam, you're in good company; I happen to know the folks in that tribe are awesome. And yes, I am a complete science nerd, thank you very much. Newer PostMinorities in STEM – What can allies do?